Karriview Vineyard is the oldest producing vineyard in Denmark, W.A. and its consistent quality has been likened to some of the finest vineyards in Burgundy, France. Planted on North facing slopes the old vines produce exceptional Pinot fruit of optimum ripeness. Handpicked, partial whole bunch fermented, pressed off to new French oak and left on lees for 8 months. Sensationally concentrated aromas and flavours - beautifully perfumed with spicy red fruits, succulent in texture and layers of intrigue over such a looong finish! Only 100 cases of this extraordinary Pinot are available and follows on from last years release which was awarded one of the best Pinot’s of WA. An iconic wine from an iconic vineyard! Rod downed tools at one of the best wineries in NZ to work for you. Why? 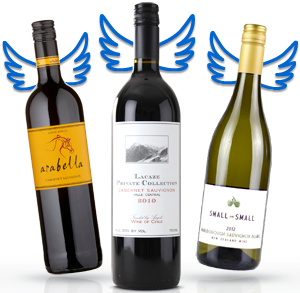 To get the best NZ wines to Angels at an unbeatable price. This Pinot shows Naked's vineyard to consumer model in action! Anything from this region would normally retail at $35+ on the shelves. Martinborough is Pinot Noir paradise, perched on the bottom tip of New Zealand's North Island. The long warm days give the grapes flavour, and blustery sea breezes keep everything cool and fresh. Drinking this wine young will show New World style characteristics, but after some years cellaring earthy characters will show that are reminiscent of Burgundy wines. 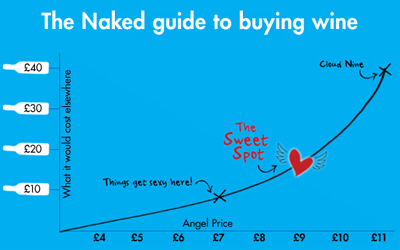 Selling out quickly every year and with an incredible 95% buy-again rating, don't wait around and risk disappointment. Rich, dark cherries combine with oak derived vanilla and spicy whole bunch characters for an intense, lasting finish. Pop this hand picked gem in your basket today!